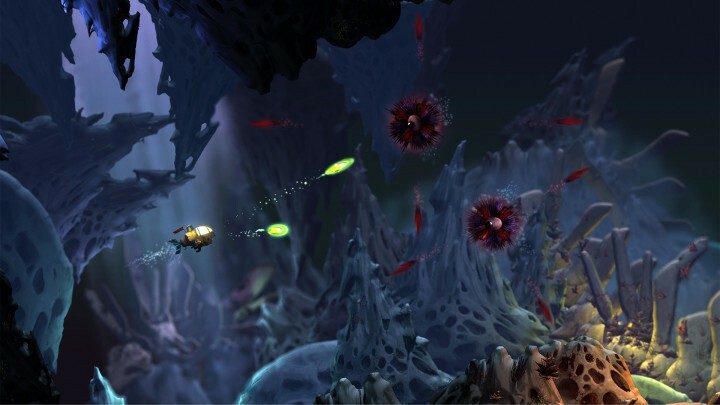 It’s official: the long-awaited Song of the Deep will be launched on July 12 and will be available for PC, Xbox One and PS4. Song of the Deep is an action-adventure game centered around a young girl’s quest to find her missing father. It combines action, skill and discovery with an interesting plot and amazing underwater graphics. Players explore and navigate the ocean landscape as they advance through the game’s challenges. The game’s plot centers around the main character, Merryn, waiting for her father to return from his fishing voyage. Yet, he never does. Since the girl dreams that her father is trapped under the sea, she decides to go out and save him by building a small submarine from spare parts and departing on a rescue mission. On her voyage, she discovers lost civilizations and makes new friends who help her upgrade her submarine to explore the ocean even further. Dangers lurk everywhere in Song of the Deep, with monsters and other baddies under every wave to hinder her plans. However, Merryn is courageous, intelligent and loves her father so much that she will not let anything prevent her from rescuing him — a tiny girl with a golden heart.